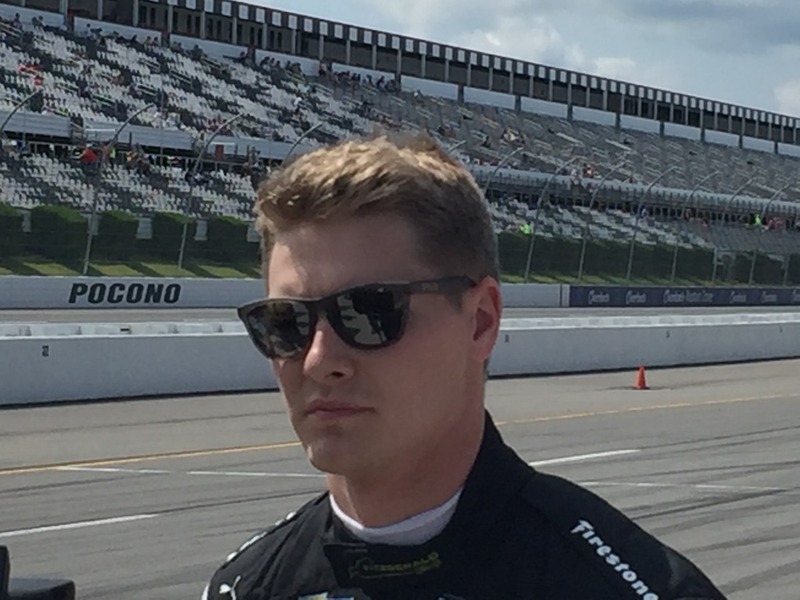 Qualifying for Sunday’s ABC Supply 500 at Pocono Raceway was exciting, frightening and frustrating with an emotional ending. I’m not sure I’ve ever witnessed a more compelling qualifying session outside of the Indianapolis Motor Speedway than the one I just watched. 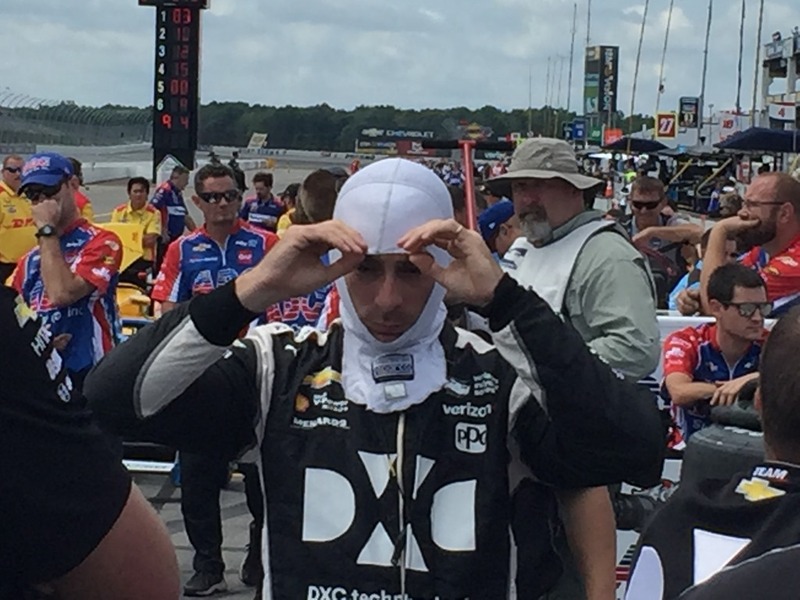 For the longest time, it appeared that Tony Kanaan might snag the pole for tomorrow’s race. Then his teammate Charlie Kimball knocked him off with a surprising run. Then the first frightening moment happened. Just after taking the white flag on his run, Helio Castroneves lost control exiting Turn One and smacked the wall and flirted with going airborne. Helio was unhurt, but his car sustained major damage. He will start at the back of the field. 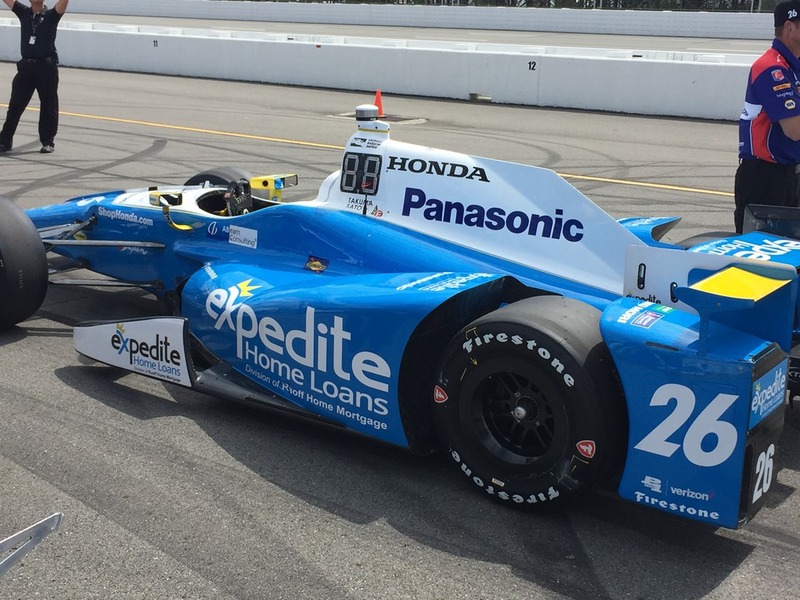 Then Simon Pagenaud ran an average speed of 219.395 mph on his run, which was good enough to knock Kimball off of the provisional pole and it looked as if he just might claim another pole this season for Roger Penske. Marco Andretti immediately followed Pagenaud with yet another disappointing run, leaving only two cars to go – Ryan Hunter-Reay and Takuma Sato. As Hunter-Reay was in Turn Three completing the first of his two qualifying laps, the car suddenly snapped and hit the outside wall extremely hard before careening across the track and hitting the inside wall before coming to a stop just short f the start-finish line. 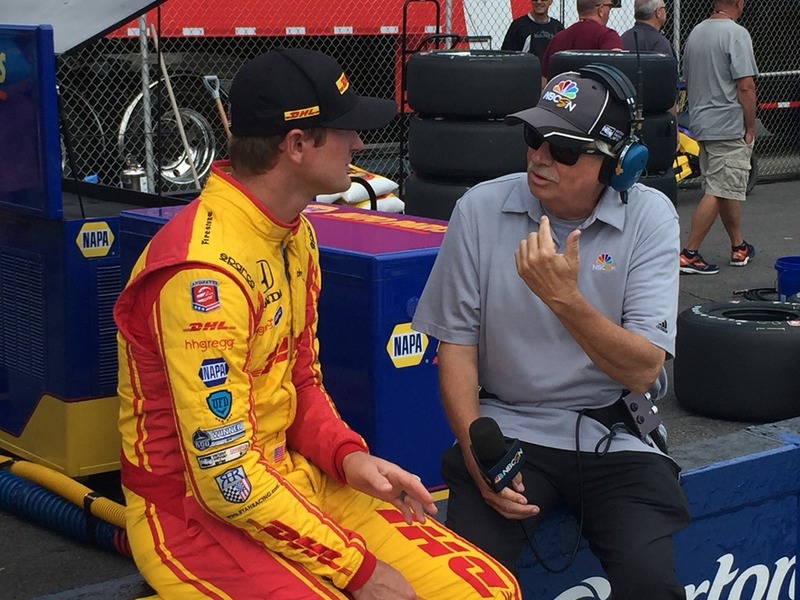 Hunter-Reay was immediately complaining about pain in his hip. It took a while to extract him from the car and he had t practically be carried to the safety vehicle by the Holmatro Safety Team. As I type, the latest update was that after being examined on-site, Hunter-Reay had been transported by ground to nearby Lehigh Valley Hospital Cedar Crest for further evaluation. 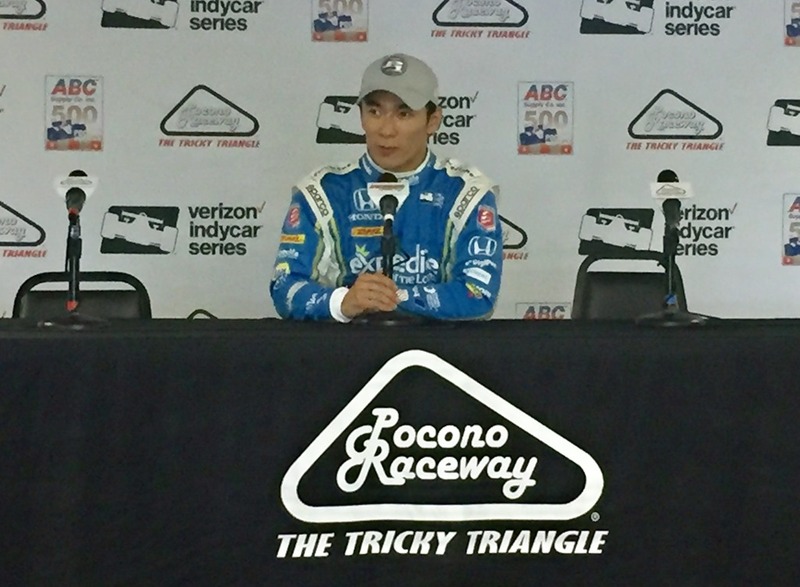 Throughout all of the cleanup, Takuma Sato sat alone in his car with his thoughts. He had just witnessed a fellow-driver and teammate carried off from a horrifying crash and he was next. Some drivers would have been content to post a decent time and call it a day, but not Sato. He left everything out there as he posted the fastest time of the day on his first lap with a lap over 220 mph. His second lap was off just a tick, but was still good enough to keep him on the pole. Michael Andretti had just run the gamut of emotions within a matter of minutes. He saw his arguably top driver in peril as he destroyed one of his cars. Then, moments later, he saw another of his drivers take the pole in very dramatic fashion. I was lucky enough to catch this emotional shot of Sato and Andretti embracing just as Sato crawled out of his car after winning an unlikely pole. The cars of Helio Castroneves and Ryan Hunter-Reay (if he can drive) will start from the back of the field along with Ed Carpenter, who was six minutes late presenting his repaired car for technical inspection. Sato will start on the pole alongside Simon Pagenaud. Ganassi teammates Charlie Kimball and Tony Kanaan will start on Row Two. Will Power and Alexander Rossi round out Row Three, while Graham Rahal and Gabby Chaves will both roll off in Row Four. Ganassi teammates Scott Dixon and Max Chilton round out the Top Ten. 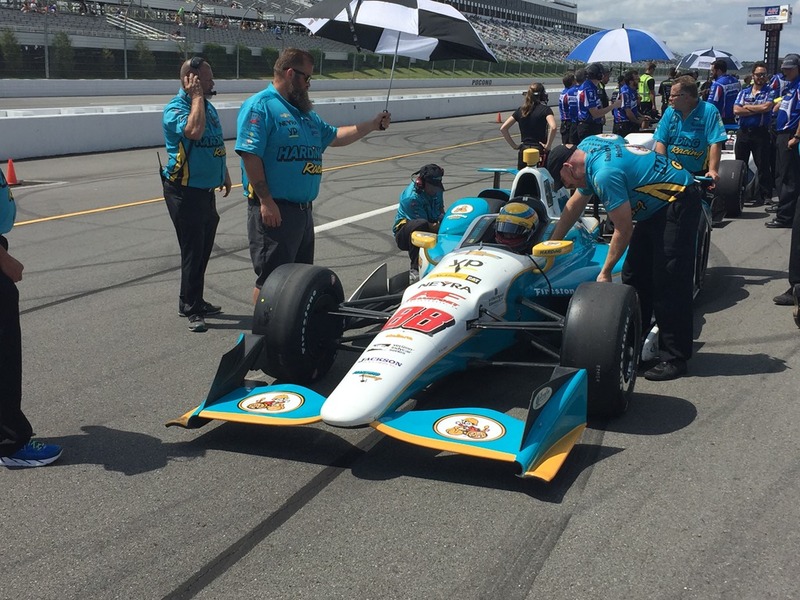 A big tip of the hat goes to Gabby Chaves and his team, Harding Racing. What they have done with a start-up organization is astounding. 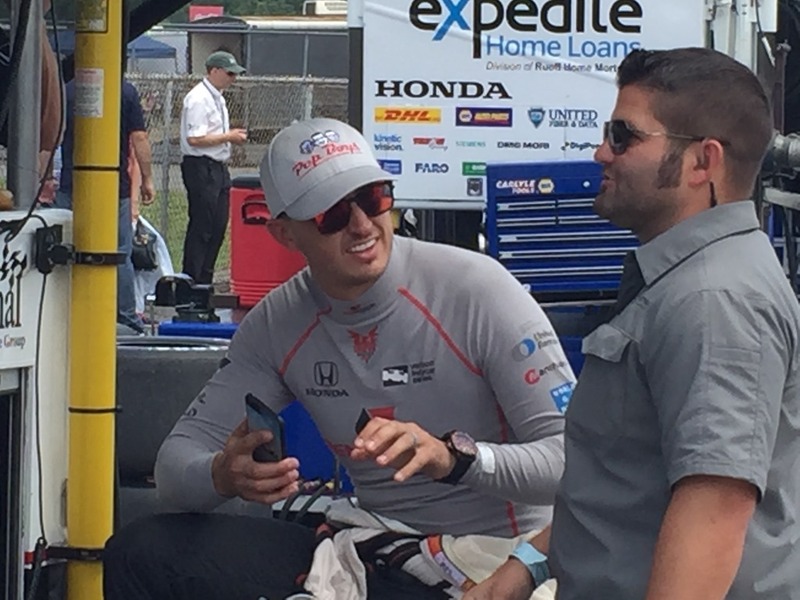 After finishing ninth in the Indianapolis 500, Chaves finished fifth at Texas. Tomorrow will be their third race and they have qualified eighth. They are also the third highest qualified Chevy-powered car, behind only Pagenaud and Power. They out-qualified two Penskes, both ECR cars and both Foyt cars; along with two Honda-powered Ganassi cars, both Schmidt cars and two Andretti cars. I’ll be paying close attention to this team tomorrow. All in all, it was a fun but a sometimes frightening day. There have been crashes in every corner of this track, confirming its nickname – The Tricky Triangle. The weather forecast is calling for rain this evening, but it is supposedly going to be absolutely beautiful for tomorrow. If you live within three to four hours of this track and you are reading this – you need to get here. I have an idea that this may end up being the best race of the season. Just to give you another sensation of speed, I took a video of JR Hildebrand on his qualifying run from Pit Road. That’s going to do it for me today. There is another thirty-minute practice for race setups at 5:00. I am going to watch that obviously, but I won’t report on it here until tomorrow morning – unless something significant happens in it. Let’s hope that is not the case. I will be posting on Twitter during the practice at @Oilpressureblog. I’ll be back here tomorrow morning, well before the race. Please check back often. In the meantime, here are a few more random photos from qualifying. This entry was posted on August 19, 2017 at 3:41 pm and is filed under IndyCar. You can follow any responses to this entry through the RSS 2.0 feed. You can leave a response, or trackback from your own site. Great photo of Sato and Michael. Thank you so much for the report and photos George. I was not able to watch or listen to qualifying so this report was a welcome sight. Today and tonight I was able to watch IMSA at Road America and Nascar at Bristol, both on Free TV. Oops. My Kindle has a mind of its own. Meant to say I didn’t realize it was you at first.